Thank you for reading this guide. I hope you find the information helpful. In my experience, the most difficult issue in the Design and Construct process is establishing the budget and then designing the home accordingly. It really is the perfect example of the cart coming before the horse. With so many variables as site conditions, building materials and style, how can a builder know the estimate until a plan is prepared? Invariably, clients hold back a little on their true budget and include everything on their wish list. As the sketch is developing, rooms can be added, sizes increased, and the budget can easily be exceeded. To ensure that this process is as smooth as possible, it is critical that the builder has a thorough understanding of the client’s design brief and expectations and that the client is transparent with their budget. To complicate this, it happens in the early stage of the relationship which can be uncomfortable. Nobody wins from designing a home that will never be constructed because of a budget blow out. During the initial meeting with the client, the above is discussed and it is established if a Designer or Architect would be best suited to the project. This is often determined by the budget and the level of architectural flair desired by the client. The best Designer/Architect is then recommended. As part of the builders Preliminary Design Process, the builder will obtain an estimate from an independent Quantity Surveyor to indicate the anticipated cost of the project. They then repeat this process at the Development Application stage. The other most important professional in the team is the Structural Engineer. By involving the builder from the start, you are ensuring that the structure of the home is going to be designed by the engineer that the builder feels most confident with and who has local knowledge of your site conditions. Prior to completing the working drawing package ready for tender, the following need to be addressed. Prior to providing a fixed price quotation, experience has shown that finalising the selection of the material pallet is critical. The Builder should advise the client what decisions are required and assist them with where best to make the selections and complete the Schedule of Finishes. The above is expertly co-ordinated by the builder. The only cost to the client is the re-imbursement of the out of pocket expenses incurred by the builder. The client is provided with quotations from the relevant experts at every stage and work only proceeds on approval of the client. 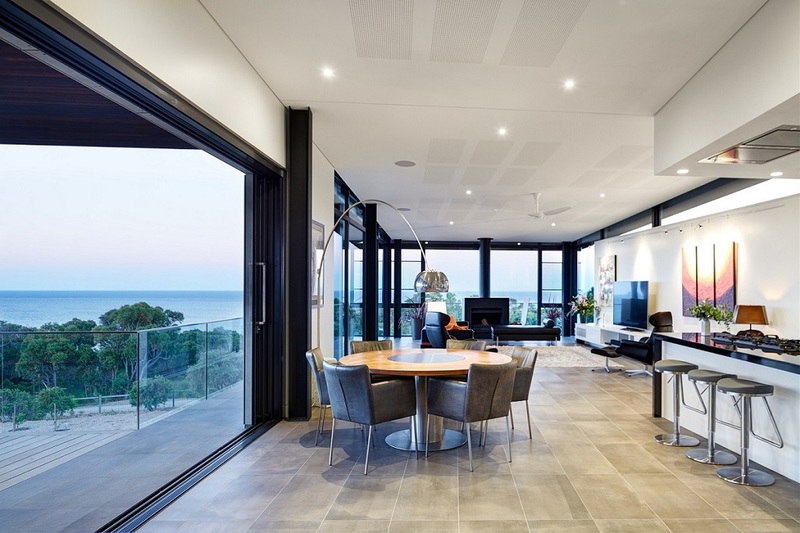 One of the major advantages of the builder co-ordinating all the above is that they are working with the team that they know are cost-effective, can perform on time and are experts in their field. The Builder will provide a fixed price quotation within 4 weeks of the contract package being completed. Once the fixed price quotation is accepted by the client, the builders lodges the Building Permit with the local authority and commence on site within 2 weeks of having the contract signed and Building Permit issued. We believe being a builder is a privilege and our philosophy is to make the experience as pleasurable and smooth as possible.